Horphag Research USA is the exclusive North American supplier of Pycnogenol® French maritime pine bark extract and premium vitality ingredient Robuvit®, a patented French oak wood extract. Robuvit® has a number of peer-reviewed and published studies illustrating the extract’s support for managing fatigue, renewed energy, sports performance and detoxification. 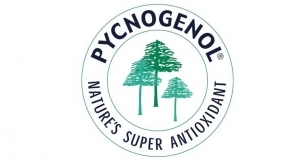 Pycnogenol® is a potent antioxidant with documented health benefits, including cardiovascular and circulatory health, joint, skin care, sports nutrition and cognitive function. The extract has been widely studied for the past 40 years and has 420 published clinical studies and review articles ensuring its safety and efficacy as an active ingredient in 1000 dietary supplements, functional foods and beverages and cosmetic products.